With the increased need to provide apps for numerous platforms namely, Android, iOS and the web, maintaining and scaling mobile applications is one of the greatest challenges for mobile developers. 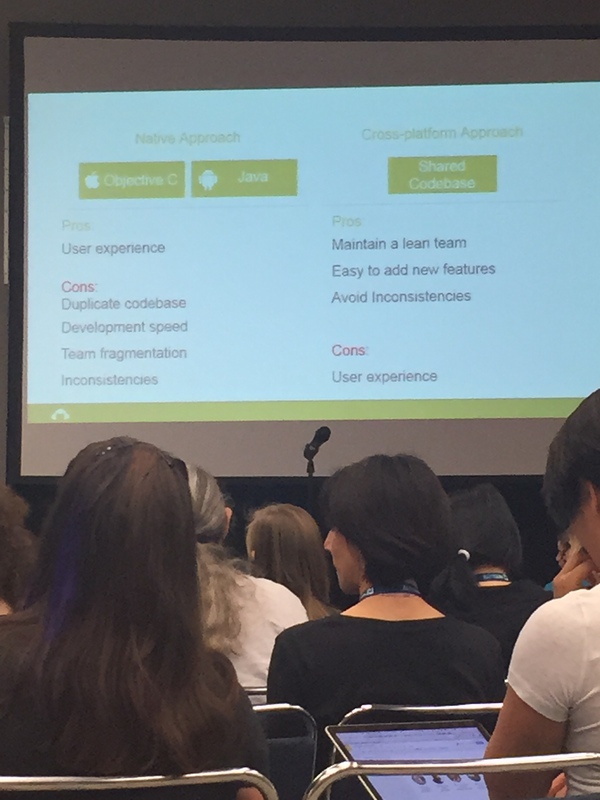 In this session Paola spoke on the technologies that allow for maintaining a single code base, their pros and cons and SurveyMonkey’s strategy in this matter. Native app- is written in the language specific for that particular OS. It causes slower development to manage multiple platforms.